The high anticipated new KBS2 drama 'Suits' is inching closer to its first airing date. It stars the veteran actor Jang Dong Gun and ZE:A's Hyungsik as two lawyers at a top law firm in the country. Based on the famous American series with the same title, the first episode is set to premiere on April 25. 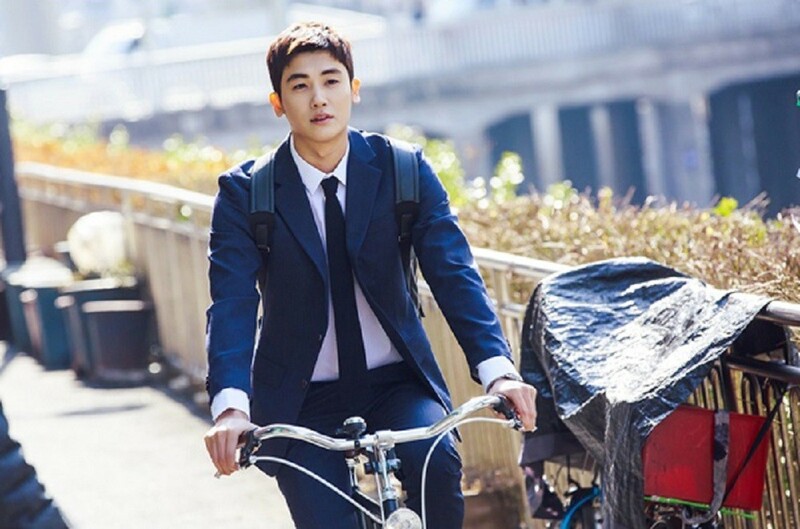 On April 7, the drama revealed a brand new still cut of Hyungsik as the role of the "fake" rookie lawyer, Go Yeon Woo, on a bicycle wearing a suit. Are you excited to see more actors in snazzy suits on 'Suits'?